Written by Daniel Muñoz on Sunday May 3rd, 2015 . He was a persistent poet in his youth and intermittent in later years, the lyric was always present in the Manuel Rojas’ literary work. He begins composing early verses of a modernist inspiration, of which he would says, years later: I started writing poetry and I made the worst ever written in the southern hemisphere. 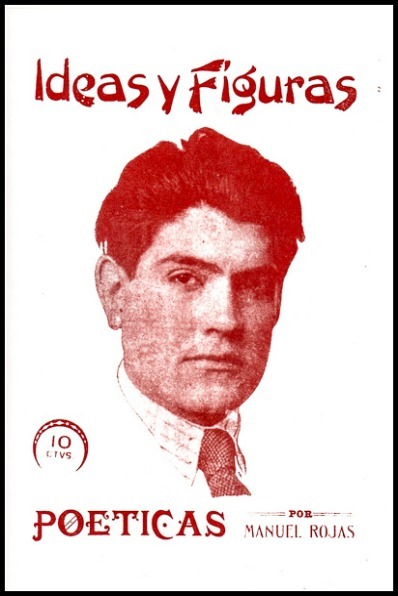 The publication of his sonnet “Gusano”, in 1917, gives him a first acclaim from the literary critics and encourages him to publish, in the city of Mendoza – Argentina, a first collection of nine poems entitled “Poéticas”. 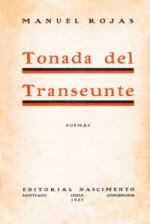 Later in Chile, thirty poems appeared scattered in magazines and newspapers, being collected in 1927 in the book “Tonada del transeúnte”. Lastly he published his main and longest poem, “Deshecha rosa”, dedicated to Maria Baeza, his deceased wife, poetess herself. Rojas’ poems end up being praised and renowned by leading authors and literary critics.